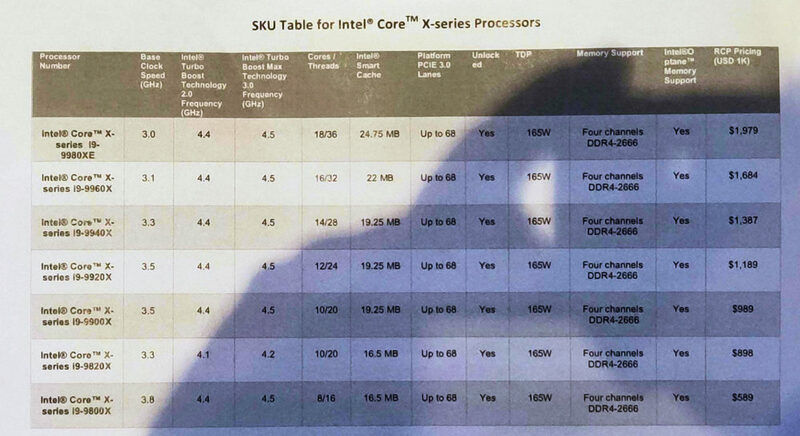 Intel has revealed the 9th Gen Core series processors. Benchlife revealed the slides from Chinese Intel 9th Gen Core launch. The full specifications and pricing have been revealed. The flagship HEDT CPU called Core i9-9980XE will retail at 1979 USD (1K unit price), while the flagship consumer model will cost 488 USD.